When you think about it, the fact that you never forget to ride a bike once you have learned is a pretty amazing thing - I guess its a lot like walking and a lot less like differential equations in that respect (at least for me). 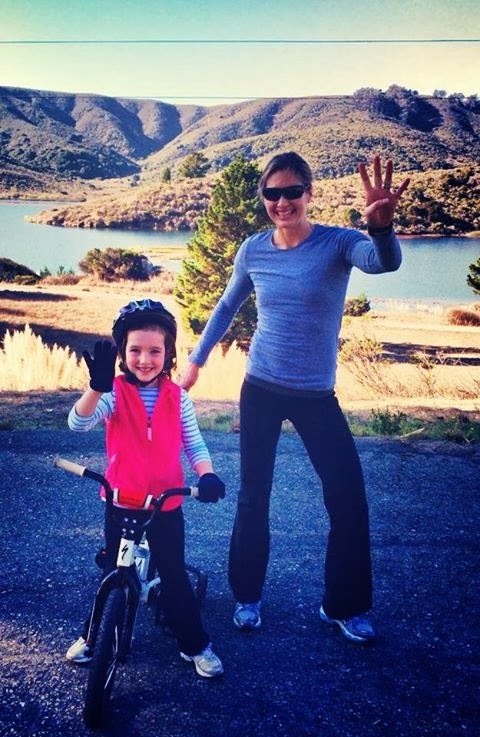 As parents, we look to the major milestones in our children's development to provide those defining moments that punctuate the blur and signal the start of something new - the first word, the first step, the first solo bike ride. With each evolution things simultaneously can become easier (e.g., to communicate) and harder (e.g., to keep up). We look forward to achieving these milestones and then, once they are in the rear-view mirror, mourn the loss of our speed-of-light-changing babies. "Mommy, I was nervous because I thought it would be really wobbly and hard, BUT IT WASN'T!!!" "Wow, you left my training wheels on for WAY TOO LONG. What were you thinking?" "I feel like crying because I am so happy"
Step 1 - The Tandem Bike; Riding together with her, to school, on vacations, and on the weekends has taught her to love biking as an amazing way to see the world. 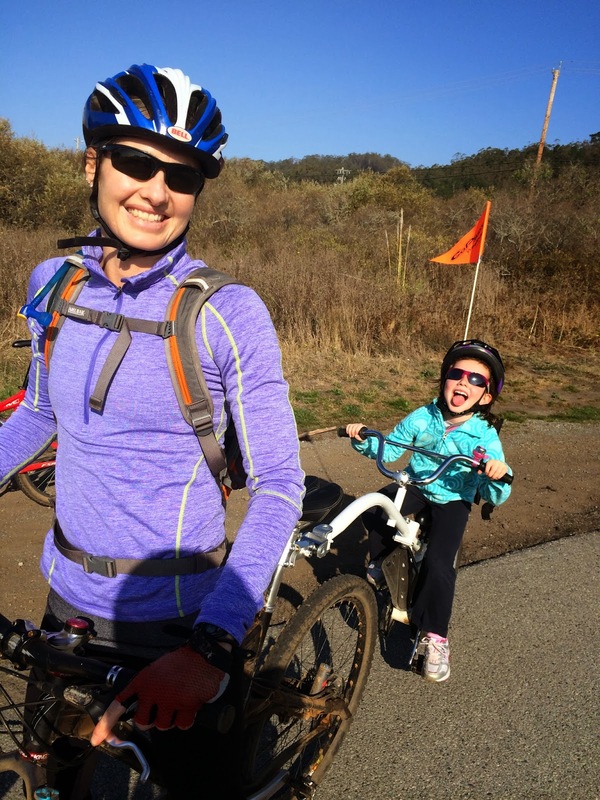 Initially very cautious, she never took to her tricycle or glider bike, but on the tandem, she soon learned to get comfortable with the feeling of going fast, cornering, and pedaling up hills. Step 2 - The Training Wheels; Biking up to four miles with training wheels taught her endurance, general bike handling skills, mental toughness and gave her confidence in her abilities. Step 3 - The Glider Bike from MommyTasker on Vimeo. 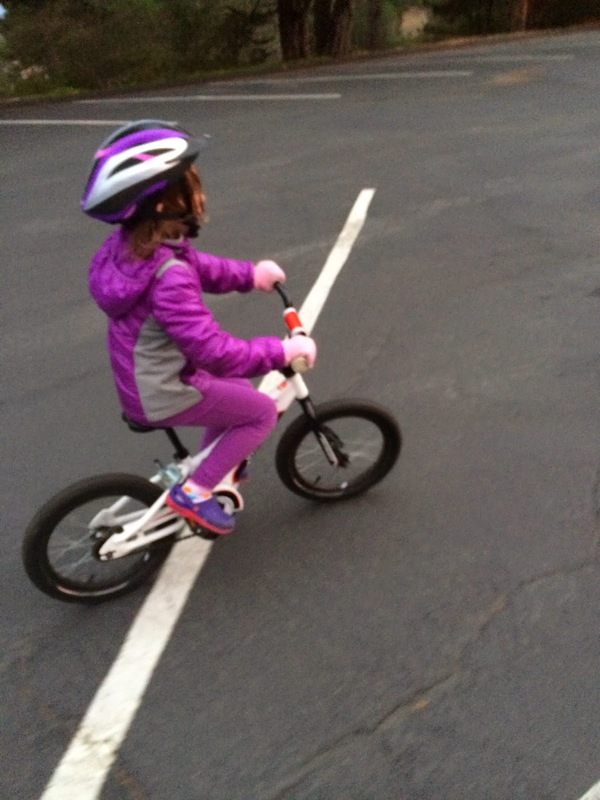 By removing the training wheels and pedals, and lowering her seat we converted her bike to a glider bike. Using the bike in this mode she quickly got used to the momentum, balance and sharp turning skills necessary to stay afloat on just two wheels. Step 4 - Pedaling Solo; With all the necessary skills built into her muscle memory, the first and subsequent solo attempts at two-wheel riding have gone incredibly (and giddily) smoothly. First EVER Attempt Riding Solo from MommyTasker on Vimeo. Well, so now that one is ticked off the list.